sunset view of phukhao thong, wat saket of Bangkok Thailand. The golden pagoda brightly yellowish among darkest scene of surround building with cloudless sunset sky in background and canal as foreground. 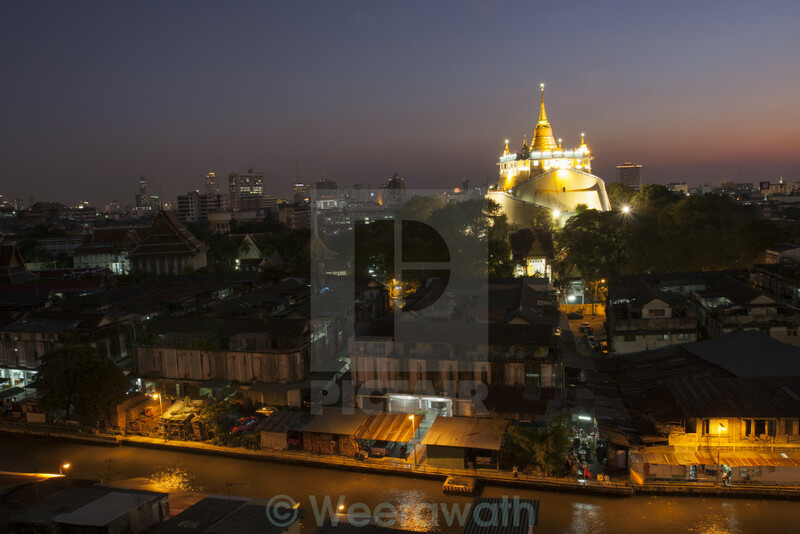 the picture displayed the sunset scene of Bangkok around Wat Saket, The inner of Bangkok, with Phukhao Thong as main subject. The far sight of the scene, cityscape building and the cloudless sunset sky while Riverside lifestyle along the foreground of picture.